JNN 06 Jan 2014 Cairo : Egypt stopped 61 Canadian Shi’ite Muslim pilgrims from entering the country and decided to hold them at Cairo airport until their onward flight, security officials said on Sunday. The Canadians landed in Egypt from Iraq to complete a pilgrimage to Shi’ite sites in the region, but were kept out on the orders of security authorities, said airport security officials who gave no further explanation. 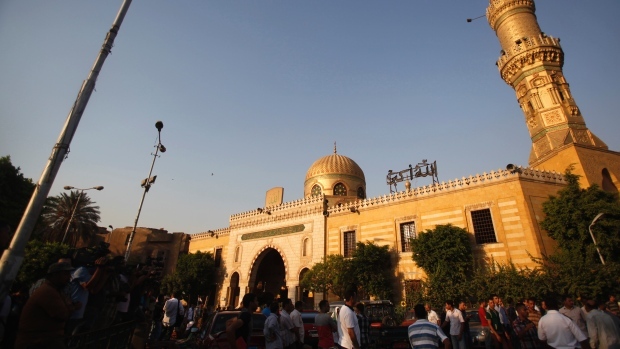 Canadians are usually allowed into Egypt with a visa bought upon arrival. A spokesman for Canadian Foreign Minister John Baird said Ottawa would react later on Sunday. The government of Egypt, an overwhelmingly Sunni Muslim nation, has long been criticized for discriminating against the country’s small Shi’ite community. Egypt’s official Islamic establishment has previously warned against the spread of Shi’ite beliefs. The U.S. State Department’s religious freedom report for 2012 said the government “continued to harass Shi’ites”. In June, four Egyptian Shi’ites were beaten to death by a mob, a lynching blamed partly on sectarian passions whipped up by ultra-orthodox Salafist Muslim allies of President Mohamed Mursi, who was deposed by the army a few weeks later. The Shi’ite denomination emerged in the earliest days of Islam from a dispute over who should lead the Muslim community after the death of the Prophet Mohammad. The Shi’ites are of the believe that the real Heir of the Prophet Muhammad PBUH is Imam Ali a.s, the prophet’s son-in-law, and his descendants. This entry was posted in AFRICA, America and tagged airport security officials, Canadian Foreign Minister John Baird, Egypt, muslim pilgrims, President Mohamed Mursi, security officials. Bookmark the permalink.